If Jeremy Corbyn can inspire the stunning support that today made him Labour's leader to transform British democracy, he can succeed in ending austerity. Otherwise he is doomed. Photo: Chris Beckett/Flickr. Some rights reserved.Once, long ago, Umberto Eco was in a television discussion with Stuart Hall. He said that, as an Italian, he was struck by the way the British always look grim, alarmed or downcast when they talk about a political crisis. Italians, by contrast, might welcome a crisis, as there are good and necessary crises, of growth and change. What teenager has there been who does not go through a crisis on the way to adulthood? The reason that Brits, unlike Italians, tend to regard a political crisis with alarm is that all classes inherited a globally privileged position. Change threatens this. The likelihood is not growth but loss, to our relative wealth, sovereignty, world position, and now the UK itself. When interviewed about her longest-ever reign, Tristam Hunt MP could not resist his inner historian and reminded BBC listeners that when she inherited the crown, the Queen pledged loyalty to “the imperial family”. None of the accounts mentioned this embarrassing fact. Her ermined determination to ‘carry on’ distracts her subjects from recalling the main reality of her monarchy: the greatest Empire in the world disappeared. Yet ‘The Palace’ and not just her palace but also the palace of Westminster continues. Every political crisis here threatens the adaptability of this inheritance now stretched to breaking point. Especially because below the symbolic stasis of British rule, a deference-free liveliness and a will to improve has grown. Arguably everything has changed except the political system. We have even seen the sale of most of the UK’s utilities, industry, and much of its prime land and housing as well as banks to foreigners and even crooks to fund what is left of the ruling classes. Which in turn stimulates public defiance: a growing self-belief, often inchoate and contrarian, that looks for political expression. For the British left, this combination of a well-organised globally modernised imperial Westminster and disorganised egalitarian energy creates two parallel crises. Both have long histories and are ongoing because, to steal a phrase, a ‘crisis’ is a process, not an event. Both have intensified since the financial crash and the advent of austerity. 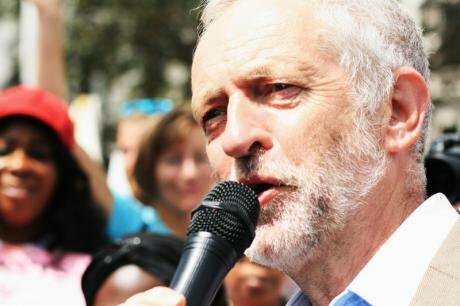 With today's election of Corbyn as Labour’s leader, the two crises have come together in an explosive way. First, the Labour party. This is undergoing a bad crisis. Frequent references to Labour’s moment of Churchillism, replete with calls to bring back the spirit of Attlee and 1945, reinforce the sense of gloom. Labour is in many ways a product of Westminster and imperialism (think of Ernest Bevin, who headed the country’s greatest trade union, the T&G, became wartime minister of labour and was then post-war foreign secretary and an architect of NATO). Tony Blair reproduced the tradition with his embrace of President Bush and the Iraq War. The official Labour party of the twentieth century was an extension of the Whitehall monolith, the Westminster consensus and the special relationship; its raison d'être to run the British state better and more fairly than the Tories. This Labour party has received a series of shattering blows since the financial crash. Second, democracy, which is after all a left-wing virtue. This is enjoying a good crisis. It is experiencing growth and expansion as it battles to find new forms and expression within a state that has always manipulated and despised it. In Scotland it has achieved a historic breakthrough, creating one of the best and most popular governments these islands have seen (even if this is not saying much). In the early leaders’ debates in this year's general election, millions were introduced to the country’s first minister, Nicola Sturgeon, and asked: ‘Why can't we have a leader like this, who is smart, credible and opposes austerity!’ She paved the way for Corbyn. In England itself the democratic spirit has turbo-charged the Greens and given UKIP four million votes, ensuring large numbers of working people see the need for an honest electoral system. Thanks to the miasma of its self-regard, Labour was dismissive of all such movements for democracy, regarding them as irrelevant and futile. Its conceit led the party to agree without a second thought to Ed Miliband's historic reform of the way it votes for a new leader – making it 'one person, one vote', open to any registered supporter. Like one of the windows between parallel universes in Philip Pullman's His Dark Materials, this opened a passageway between the world of formless but highly charged democratic energy and the stultified phantom zone of Labourist lethargy. Suddenly, thanks to his integrity, modesty, spin-free earnestness and opposition to inequality, the Corbyn candidacy offered a way of rejecting the Westminster consensus that you could vote for! The democratic energy of those who wanted their voice to be heard rushed in to cover him in its glow, like Pullman’s magical dust that are the particles of conscious life. The result intensifies the negative crisis facing the Labour party and amplifies democracy’s positive challenge to the Westminster state. What is a deadly threat to the political class dependent on a compliant Labour party, is a golden opportunity for the British people. How should team Corbyn ensure it does not turn to lead? Photo: Flewishamdreamer/Flickr. Some rights reserved.The media-finance complex of official Britain will move to destroy the Corbyn wave as ruthlessly as the functionaries and bankers of the Eurozone smashed the hopes of Syriza despite their 60 percent referendum support (indeed this seems to have made it all the more ‘necessary’). If they have to break the Labour party to prevent Corbyn becoming prime minister, they will. They will use their Labour representatives to assist this, just as German Social Democrats were the cruellest and most dismissive of the Greek referendum. The first line of argument will be that the Corbynistas are not the expression of democracy at all, but represent leftist do-gooders and mere protesters who could never win an election or gain the public’s support. Not democrats, not popular, but hijackers threatening our security and way of life and ‘British democracy’ itself. The aim: to win any contest in advance by defining Corbyn as against the people. This means that even before Labour under Corbyn can begin to pitch itself to voters as capable of leading a credible and attractive government, it must be seen to be convincing as a democratic alternative. And seen fast. This is not about economic policy or about being, or not being, socialist. The right-wing press will move to caricature Corbyn as creating the kind of government you’d never want to live under, whatever it does. It is very important to register therefore the ‘three elephants’ (as he puts it) that hold up Corbyn’s claim to be a democrat. They are: Iraq, austerity, greed. Iraq: The crucial, domestic political fact about the invasion of Iraq is not that it was illegal and therefore a war crime. Nor is it that it was a “dumb war” as the then Senator Obama put it, setting himself on his route to the US presidency; or that it was a “predatory and dishonest war” as John le Carré wrote in openDemocracy. No, it is not that the war was wrong, ill-conceived, inept, greedy, unwise and illegal. The most important consequence of the Iraq War here in Britain in terms of our own politics is that we the people, of all political persuasions, who took to the streets in unmatched numbers to oppose the war, were wiser and assessed reality with more foresight than our masters, the UK’s political class, its so-called ‘intelligence’ services, its supposedly experienced Foreign Office, its Murdoch-inspired press, its Labour government and Tory opposition, never forgetting the majority of their Lordships. We, the unwashed, had demonstrably better judgment than the elite. This turned upside-down the core assumption of the UK’s informal constitution: that the people cannot be trusted with the keys of sovereignty. To this day, the media and security interests who now regret Iraq say things like, ‘If we had known then what we know now…’. But never do they say that the opposition to the Iraq war was right at the time for the right reasons. In official discourse, the opponents of the war are still anti-American or knee-jerk peaceniks, or, most scurrilous of all, soft on terrorism. But the fact is, we got it right while Blair and his fellow idiots got it wrong. And by ‘we’, I don’t just mean the millions who marched. I mean the democratic intelligence of the majority of British people who pride themselves on knowing how to fight a good war when it is necessary, and knew then that this was not the case with Iraq. And by ‘idiots’ I mean Blair and company who were warned they were playing al-Qaida’s game and shamefully proceeded to do so. With no one to impeach them, Blair and company held onto power and the result was an attack on our democracy; with dodgy dossiers, purging the BBC, fabrication and spin (still dragged out in the protracted farrago of the Chilcot Inquiry). But the crucial point is that Iraq irreparably holed the legitimacy of Britain’s current political class below the waterline, not because they were mistaken, but because the people warned them they were mistaken. On a matter of war and peace – the highest calling of the state – the people were right and the Westminster political class were wrong. Corbyn’s stand on this makes him the personification of popular wisdom. We also as a party have to face up to something which is an unpleasant truth, that we fought the 2015 election on very good policies included in the manifesto but fundamentally we were going to be making continuing cuts in central government expenditure, we were going to continue under-funding local government, there were still going to be job losses, there were still going to be people suffering because of the cuts we were going to impose by accepting an arbitrary date to move into budget surplus, accepting the language of austerity. My suggestion is that the party has to challenge the politics of austerity, the politics of increasing the gap between the richest and the poorest in society and be prepared to invest in a growing economy rather than accepting what is being foisted upon us by the banking crisis of 2008/9. We don’t have to set this arbitrary date, which in effect means the poorest and most vulnerable in our society pay for the banking crisis rather than those that caused it. There were loud cheers from the audience. Everyone can understand what he is saying and a significant majority across the UK think he is right on this fundamental point. That it cannot be acceptable for the poor and vulnerable to be hammered into the ground when the rich are getting richer and being given tax breaks. Labour cannot now begin from the assumption that the economy is working well, because it is not. After a recovery slower than from the Great Depression, this should not need arguing. The party cannot just imitate the Tories. It needs to craft its own policies. No strong economic case can be made for cutting the share of public spending in gross domestic product to close to its lowest level in 70 years by 2019-20; for running an overall budget surplus in “normal times”; or for simultaneously slashing benefits for the working poor and inheritance tax. It is the left’s job to challenge such choices. Corbyn could be condemned for moderation in his opposition to austerity! Indeed Wolf argues that much more effective reforms are needed than Corbyn’s more traditional proposals. He is not the only one to do this (see John Mills in openDemocracy). This is where his credibility comes in over how to “invest in a growing economy” as Corbyn puts it. How do you ensure expansion, especially when Osborne’s policies are all too likely to fail in a period of continued global uncertainty or worse? Here a no-holds-barred debate with a whole range of experts will be needed to transform public thinking. Corbyn isn’t going to be able to tell people what to think on this in the traditional 'manifesto' way. He is going to have to hold open the space for whoever is willing to engage on whatever side so that we can educate ourselves in the process. This will be incredibly hard to do under vile media pressure orchestrated by a threatened financial elite, especially when exemplary arguments, such as this for example, on public ownership, are proposed, or on inequality, and when Corbyn's own approach to political economy needs to a big-time catch up with networked thinking (for example, Will Davis or Paul Mason), especially with respect to energy. In this way Blair threw in the towel. New Labour’s embrace of neoliberalism has lost electoral support. Corbyn’s opposition puts him, in democratic terms, in pole position, on the people's side. When a Corbyn victory became likely and they recovered from their initial astonishment, there was talk among the Blairites of splitting away to form a new party. Then they looked behind them and saw the room was empty. Few would follow them to create a left-of-centre party for ‘austerity-lite’. Instead, we can be confident that if a challenge to Corbyn’s leadership is mounted from the Labour centre in, say, two years' time, it will be from an alternative anti-austerity platform. In this respect Corbyn has already dustbinned New Labour’s calling card. A tremendous achievement. 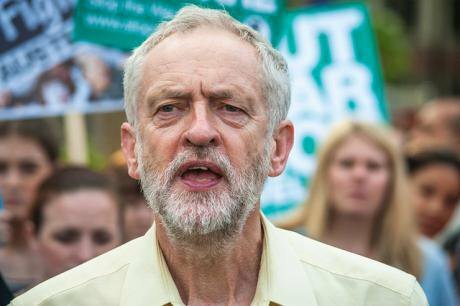 Greed: On Iraq and against austerity Corbyn has the public with him. He is not a just figure from the past. Or even if he is, he is also England’s Nicola Sturgeon. But he is a collectivist in a way that may be less popular south of Hadrian’s Wall than in Scotland. How he articulates his socialism may decide whether he is accepted and perceived by voters as a democrat in the English sense of being for people's freedom and liberty. 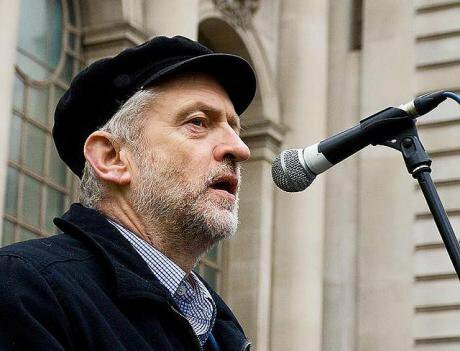 England has a highly individualist culture, including across the working classes, and if Corbyn is positioned as seeking a top-down, dictatorial state, he will be drummed out of relevance. This is what the Tories will seek to do. At the same time, English individualism is not as permissive of rampant greed as America’s (if I may be excused a rough and ready stereotyping). Here Corbyn’s philosophy may not be so discordant with opinion as the Tories think. It should never be forgotten that the prime minister charged taxpayers £680 for tidying up his wisteria, as if this was a parliamentary expense that should be borne by the public purse. He and George Osborne call for austerity but they and their families are dripping in money, and you can tell from their smiles that they delight in dosh. Corbyn, by contrast, calls himself parsimonious. The media will try to project him as power-crazed, but he is evidently selfless, not greedy. It is less a matter of being 'authentic', whatever that means, than of having the integrity to live the values he espouses. This too could prove very popular. It is a paradox, but Corbyn is the candidate with the most austerity in the age of austerity and this ensures that he can denounce it with complete credibility. Photo: Joe Reynolds/Demotix. All rights reserved.Corbyn, therefore, has three profound reasons for believing that his political lifetime of lonely, stubborn contrarianism is being vindicated; that his views will find resonance and legitimacy in the public; and that once Labour adopts them his party will be saved and they can go on to claim government itself. Should he fall for this temptation it will be fatal. He must not turn towards the Labour party, even though it has been his whole life, nor play the Westminster game even though it has finally given him his platform. He must instead turn towards the movement that has propelled him to his astonishing ascent. He should fill his sails with the generous democratic life-force he has released, not the pinched, instrumental spirit of machine politics. Use the transformative democratic movement his 99 meetings have inspired to attempt to solve the crisis of the Labour party. This will mean retaining its embrace of the British state and its ambition to rule alone, and going to the country saying that a Labour government on its own can implement the egalitarian, anti-austerity strategy he has started to outline. Use the Labour party to give effect to the economic and democratic challenge to the way we are being ruled, so that it deepens and inspires a larger movement, including the trade unions, for self-determination, building change outside Whitehall, across England as has already begun in Scotland. Corbyn can address the bad crisis of the Labour party or embrace the good crisis – and seek to replace the old regime in line with the country that has grown up over the past half-century. He can adopt the ambition of the Labour party leaders both ‘old’ and ‘new’ to make the Westminster system their own, and he will be doomed. Or he can make Labour part of a wider progressive democratic alliance, in which case he is in with a chance. Neal Ascherson once observed that you could no more get democratic socialism from the British state than milk from a vulture, a remark that helped inspire Charter 88’s campaign for a new constitution. Should Corbyn attempt to command the state in the name of his socialism he will be broken, despite his legitimate claims to popularity sketched above. He might with a great deal of luck and another financial crash be able to win an election outright by driving over 100 Tory MPs from the seats. Yet even were he to climb such an incredible mountain, the vulture will not be milked. The beauty of this moment, and what scares the political establishment most, is that the power of your campaign is coming from thousands of grassroots voices – not a diktat from above. It hardly seems a coincidence that the first truly democratic leadership election in your party’s recent history is producing such a powerful resurgence in optimism. People do indeed vote differently when they know their vote counts…. an anti-establishment mood is manifesting itself into a real political force. For that reason, one of my few disappointments about your campaign is that it hasn’t focused more on reforming our ailing democracy. A truly progressive politics fit for the 21st century requires a voting system which trusts people to cast a ballot for the party they believe in. If you do win this contest I believe you should take this opportunity – and the huge amount of momentum behind you – to call a constitutional convention to allow people across the country to have a say in remodelling Britain for the future. A convention has the potential to energise even more people than your leadership campaign, or the Green surge, and to inspire the kind of feeling across the UK that swept Scotland in 2014. However, to fully embrace this moment – and if Labour is to truly become part of a movement rather than remain just a machine – it’s crucial to recognise the multi-party nature of modern British politics. No one party has a monopoly on wisdom, or is capable of making the transformation alone: a diversity of progressive voices is essential for our democracy. Can Jeremy Corbyn hear this and respond? He says he likes the idea of a constitutional convention. There will be support for it within the Labour party, for example from Graham Allen MP and from Compass who have already written him an open letter. But it will need strong, clear backing. Yet it is not included in Corbyn’s ‘programme for government’ listed by the BBC. When pressed by Aaron Bastani in his Novara TV interview, conveniently summed up here, Corbyn said he could accept a German-style additional member system of proportional representation that retains constituency MPs. Again this was said without enthusiasm or as part of a strategy. But for a non-Westminster constitutional convention to reshape and codify British sovereignty, it has to include Conservatives and should be established by Parliament itself, as Stuart White and Dan Hind have set out. In the meantime, if with an open, deliberative assembly to help set its direction, Labour needs to unequivocally adopt PR. The old Labour trope that people do not ask for it ‘at the doorstep’ points to a failure of imagination. Without imagination, Corbyn’s welcome modesty becomes mere spinelessness. A fair electoral system will be the only way to ensure Labour has more than two or three MPs from Scotland in the House of Commons. It also means ending Labour tribalism and setting out to govern with the support of others. For this to include the SNP, there will have to be an English Labour party to give voice and equality to any agreement with Sturgeon. But this in turn will attract UKIP voters who feel they cannot recognise themselves in Westminster’s politics. Political imagination, however, is about more than such electoral calculations. In his acceptance and thank you speech for being elected as Labour (and Corbyn's) deputy leader, Tom Watson recognised that the election had been in part about Labour's own internal culture. As anyone familiar with the digital world, as Watson knows well, your internal culture is intimately bound up with your external culture, as the internet ensures each is porous to the other. For Labour to put behind it the old culture of closure, sectarianism and top-down control, it has to open up to voters as well as supporters. It may not satisfy sceptics like Suzanne Moore who rightly observed the stiflingly all-male nature of the Labour announcements. But as Jeremy Gilbert argued at the start of the Corbyn wave, it is an extraordinary opportunity to move on from the hard-left/soft-left/Blairite divisions that ensured the party looked inwards (as the media wished), to attempt a different form of hegemony where all the nations of Britain exercise their self-determination (the only stable basis for the continuation of the UK). Corbyn and his supporters have a golden moment to adopt an open political strategy, collaborating with as many other parties and movements as possible, over as wide a range of issues as they can stomach, to build and strengthen the democratic energy for economic, social and political justice his candidacy has so brilliantly unleashed. To be effective and inspire the widest possible support it has to be done from a position of strength and out of principle. This means now. If caution prevails, corrupted by the lure of commanding the absolute sovereignty of parliament, in the belief that such reforms can be adopted in an instrumental spirit later on should support wane under the relentless pressure of the media, it will be too late. The majority of new supporters will have drifted away and the momentum will be lost, as nothing really new is offered to change the royal way in which Britain has been governed. PS: I develop this argument here in a call for "Open Labour" as the only way to replace "Blatcherism"